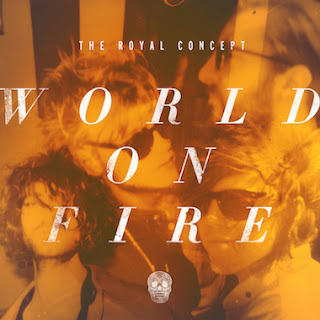 The Royal Concept - "World On Fire"
Swedish band The Royal Concept have continued to gain some buzz about their music since debuting tunes in the States, and now the alt/rock band delivered a new song called "World on Fire." This actually premiered on the CW's show Arrow, but now you can download it for free. While their music resume is still relatively small and new, they continue to develop and add new great tunes like this one. You'll notice with this track an electro and synthy feel, but it still retains the charm of The Royal Concept that fans are really digging. Stream and download below.